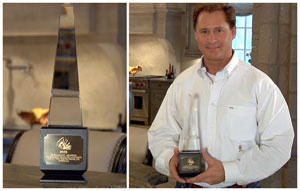 Steven West won the highest possible award from the Atlanta Home Builder’s Association. 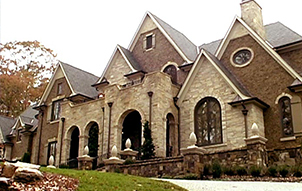 He won the 2009 Obie Award for building the 2007 Atlanta Christmas House, a multi-million dollar showhome that has been featured in several movies and news articles. The Atlanta Christmas House is one of three charity show homes built by Steven West Custom Homes. West also built Sterling Hall, which opened in 2010 for tours to raise money for charity. Steven West also built the 2009 Atlanta Holiday House. You can see more about these projects in the Media section and Portfolio section. Over the course of building three Atlanta show homes, Steven West Custom Homes helped to raise more than $700,000 for local charities. Each show home was opened for tours, and the money raised from ticket sales went to charities. “It’s been incredibly gratifying to know that my company has had that kind of impact, helping so many worthwhile charities. That’s not something I ever anticipated as a homebuilder”, said Steven. Each home built by Steven West is unique, rich in detail, furnished with quality materials, and planned around the owner’s lifestyle. Steven West is on site everyday, making sure every plan is carried out the way he envisioned it. Building homes isn’t just a job for Steven West. He is living a dream, creating masterpiece after masterpiece. He studied art in college, but later worked in the family business. After building his own home in the early 1990’s, Steven West found his passion in life. A Steven West Custom Home isn’t simply a house; it’s designed to become a family heirloom. As one of the most distinctive luxury builders in the Southeast, each of Steven West’s homes is a masterpiece. Please view the portfolio page and let the work speak for itself. Steven West won the highest possible honor from the Atlanta Homebuilders Association. 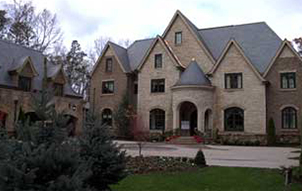 He won “Best Home Over Two Million Dollars” for the 2009 Atlanta Holiday House. Clients and peers are impressed by the creativity of every Steven West Custom home. When you work with Steven West Custom Homes, you create your custom home or your remodeling project together. Unlike many other builders, Steven West sees each project as piece of art, working alongside his clients to make changes along the way. When you work with Steven West Custom Homes, you can rest assured Steven West will be on site everyday. Here at Steven West Custom Homes, we’d love to hear from you. In addition to designing and building custom homes, the company also offers limited remodeling services as well as consulting services. Whether we are the best fit for you or not, we may very well be able to point you in the right direction. We do have an initial free consultation for homeowners who are considering a custom home. Call Steven West Custom Homes at (404) 925-4203 to speak to Steven West.